Spinit is a fairly young casino that was founded in 2016. The casino has a cheerful and flashy look and an excellent package of welcome bonuses. What a shame that Spinit has only Netent casino games for the Dutch players. Yet that will be more than sufficient for most players – Netent has a very large catalog of quality casino games. So you play all the Netent classics like Motor head, Pyramid, Secret or the Stones and so we can go on. The Spinit team knows how to keep their customers happy. For the most loyal and satisfied customers, Spinit has a VIP program and a monthly draw in which 1 lucky Spinner wins the prizes. Spinit has an immense offer for foreign players of no less than 1,200 slots from well-known software providers such as Microgaming, Nextgen, Play N Go and Evolution Gaming. The offer of Netent naturally lingers on your finger: from Dead or Alive, Secrets of Atlantis , Gonzo’s Quest, Starburst, GUNS N’ ROSES and the fairy tale classic Fairtytale legends: Hansel and Gretel. Besides the game selection of Netent slots, Spinit also has plenty of table games and a Live Casino with Roulette and Blackjack. You can also find lesser-known games like Texas Hold’em, Red Dog, Video Poker and Keno at Spinit Casino. At Spinit you can choose not to choose the welcome bonus that can be artful if you win. Then you are not stuck with the round-playing conditions. But the welcome bonus is definitely worth trying. We can speak of a nice welcome bonus. In total you can get up to 1,000 Euro in bonuses and another 200 free spins on Starburst. Total bonus: 1,000 Euro and 200 free spins on Starburst. The bonus must be played 40 times before it is converted into real money, which can be paid out. Suppose you get a bonus of 100 Euro, you have to bet 4,000 Euro to unlock the 100 Euro bonus. Pay attention! Deposits made through Skrill or Neteller are not eligible for the welcome offer. Spinit has both a Malteser license and a license in the United Kingdom. Both are known for the strict rules – this is a good sign. Furthermore Spinit pays on time and our experiences with the helpdesk have been fine. The Netent games you play at Spinit have a very reliable reputation. The website is managed by Genesis Global Ltd, a company with registration number C65325. Genesis Global Ltd is licensed and regulated by the Malta Gaming Authority. Global Genesis Ltd for UK customers, is licensed and regulated by the British Gambling Commission, permit number 000-045235-R-324169-001. You can deposit money at Spinit in many ways, including iDeal, Mastercard, Visa, Skrill, Paysafecard, ecoPayz, Maestro, Zimpler, Trustly, Sofort, Neteller, Giropay and Entropay. Also nice is that there are no extra costs associated with depositing money. 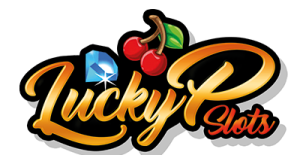 With every deposit you have the money directly on your account so that you can immediately drop down and enjoy your favorite slot machine or table game. The minimum deposit is 10 euros to a maximum of 5,000 euros. All credit cards and bank transfers take 3 to 4 business days before the payment is processed. Skrill and Neteller are processed a lot faster. Spinit looks cool and has a cheerful and flashy look. The welcome bonus is fine and the casino is known as trustworthy. The biggest drawback is the lack of casino games. Another drawback is the fact that deposits with Skrill and Neteller are not eligible for the welcome bonus. Visit Spinit for 100% bonus up to €200 and 200 free spins.